Photo of: East Coast of Ireland: Meath: Navan. 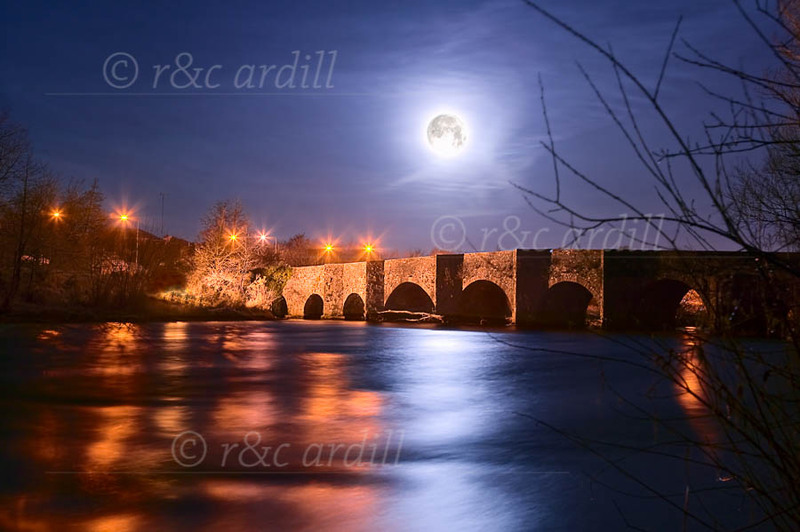 A night view of the fine Kilcarn Bridge which lies about 2 miles up-river from Navan. The full moon and long exposure gives a metallic sheen to the Boyne river. The Kilcarn bridge is now only used as a footbridge as modern bridges have replaced it for vehicular traffic.